But it's dropped live ABC, FOX and NBC in the process. 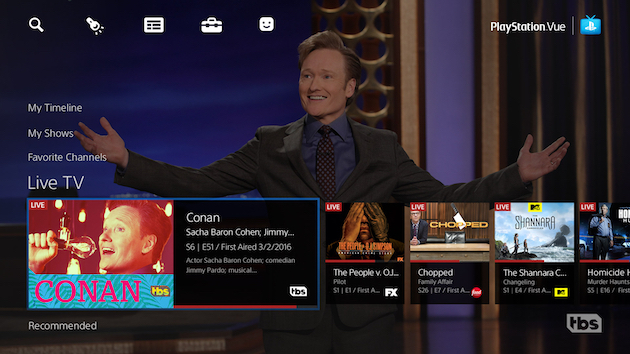 Sony is launching PlayStation Vue nationwide across the US, shaking off the "passion project" image that's haunted the service since its inception. If you live outside Vue's existing seven markets, however, you'll notice that channel availability and pricing is now a little different. Sony is pushing into the rest of the country with three smaller bundles called Access Slim, Core Slim and Elite Sim, the cheapest of which offers around 55 TV channels for $29.99 per month. That's slightly less than the regular Access tier, with the difference being that you'll only get on-demand content from ABC, FOX and NBC. There's no live viewing for these networks. Sony hasn't explained exactly why Vue's channel offerings now differ from place to place. It might be that the company was trying to thrash out deals that would have covered the whole of the US, but eventually compromised after failing to come to an agreement. The argument being that eventually, it's better to have some kind of service than no service at all. Although this new national offering is weaker than what you would get from Vue in New York or San Francisco, it does come with a cheaper price-tag, which could attract subscribers who want to keep watching after their free trial. Sony has also promised that in the future, live and on-demand CBS programming will be added for customers in "select cities." If you're new to PlayStation Vue, the general idea is that you can get traditional TV channels over the internet, without the convoluted contracts and bundles that normally come with cable. It's only available in the US right now, although since its launch Sony has slowly added new channels like Disney and ESPN, as well as support for non-PlayStation hardware like the Amazon Fire TV and Google's Chromecast. 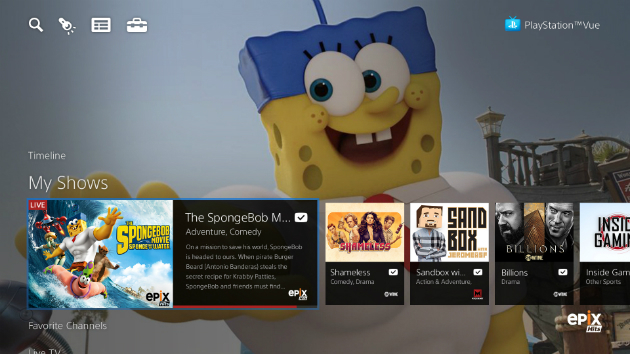 A nationwide expansion shows that Sony is serious about Vue, although to date there's been little indication that the service will ever be launched internationally.